I created this blog 5 years ago and in most of my articles I am always using operating systems like kali and backtrack. The reason behind using these operating systems is that they all contains all the tools that we need for penetration purpose. The main feature of these operating system that they are made only for hacking purpose. Today I be talking about these operating systems. I have created a list in which I be talking about the features of these operating systems. These operating systems are listed on the basis of features, forum support and popularity among users. Kali Linux is most popular among ethical hackers and penetration testers. Few years back it was known as Backtrack. Kali is debian based operating system and it comes with 600+ tools. Kali Linux has a strong user base. Kali Linux is an open source project that is maintained and funded by Offensive Security. It has strong community support like Kali Forums and Blog. 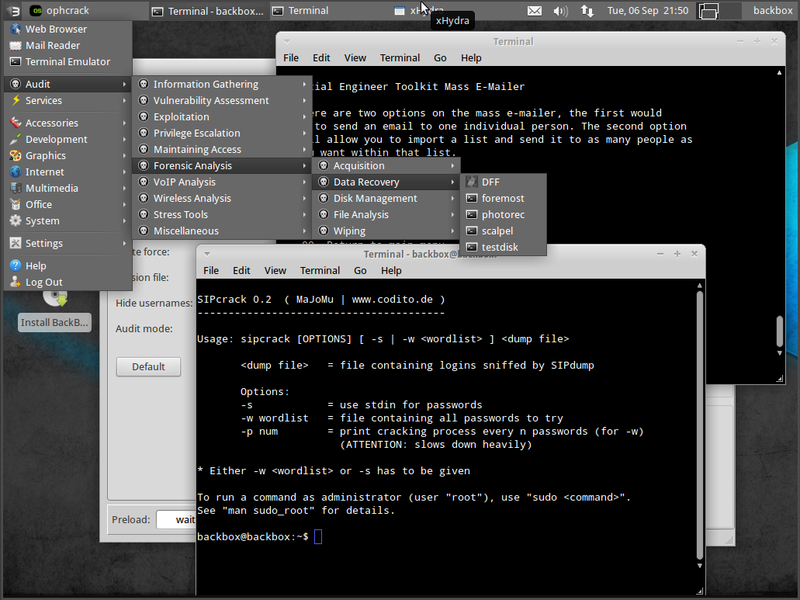 BackBox is pentesting operating system based on Ubuntu. It contains about 70+ tools. Software repos of this operating systems are regularly updated. It is very stable and has a nice user interface. 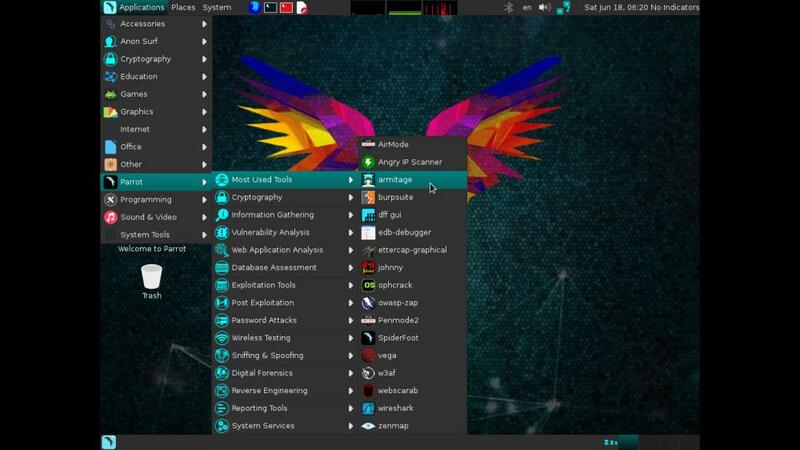 Parrot is a Security GNU/Linux distribution designed with cloud pentesting and IoT security in mind. Parrot Security includes a full arsenal of security oriented tools to perform penetration tests. Parrot includes by default TOR, I2P, anonsurf and some other tools for anonymity. Bugtraq is Pentesting and Forensics GNU/Linux Distribution for ethical hackers. It contains more than 500 Ethical Security Hacking tools installed and configured. Bugtraq team also have some other projects like Bugtroid and Black Widow. It is very optimized and stable. It has about 1500 tools installed and configured. BlackArch has a very nice user interface. BlackArch is a new OS so it have some bugs but that can be resolved easily. 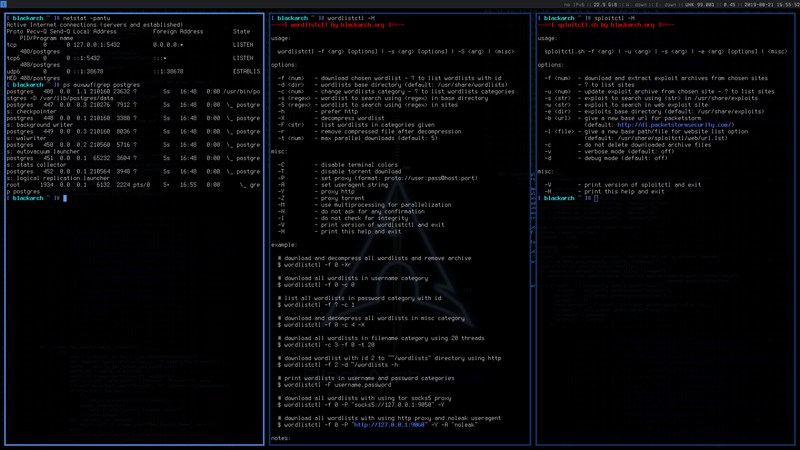 Download BlackArch Linux from here.